The purpose of this award program is to encourage students from Charlotte or DeSoto county to pursue a degree in a field of study related to the environment. College students with professional goals to pursue conservation biology, wildlife conservation, zoology, or environmental education will be given preference and are invited to apply for the Peace River Audubon Society Scholarship for Environmental Studies. Up to two highly qualified college students will be awarded $1,000 each. Funds may be used for the educational institution’s tuition, books, supplies and equipment, or technical materials. Click the link below for a complete scholarship application. The deadline is April 15th, 2016. Please join us in celebrating the many accomplishments of these bright, talented, and motivated students. wildlife veterinarian and researcher” and is particularly interested in “researching zoonotic diseases and felids in the future.” Among her many accomplishments is an internship at the Disney’s Animal Kingdom Vet Hospital (chosen from over 1300 applicants!). At UCF she helped catalog and maintain the mammal collection, assisted on disease research in hatchling logger head sea turtles, and volunteered in the Marine and Wildlife Conservation Club and the Pre-Veterinary Society. She has also volunteered in Orlando for an animal hospital and for a wildlife rehabilitation center in India at the Madras Crocodile Bank Trust, where she learned about reptile conservation and assisted in King Cobra radio telemetry research, in Guyana, where she learned about local flora and fauna, how the Amerindians use plants medicinally, and about their ecotourism programs, and was planning to soon assist in research on Jaguars in Central and South America. In addition Jessica is an accomplished athlete (having played on 5 different teams), an artist (having donated her art for club t-shirts, biology lab manuals, and non-profit fundraising events), and has volunteered playing flute at the nursing home in Arcadia for which received the Chamber of Commerce Award for Community Service in DeSoto County in 2005. Jeremy Toms, is a graduate of Charlotte High School. At the University of Florida he majored in Environmental Engineering Sciences as part of a combined Bachelors of Science and Master’s of Engineering in Ecological Engineering degree program. He also interned with the Office of Sustainability working to educate and promote sustainability on campus and assisted a professor to determine where improvements on waste reduction and landfill diversion could be made within the university. In the long-term he planned to work so that “engineering solutions, especially those concerning the environment, take more holistic approaches to solving problems that best benefit society while also keeping the natural world that we depend on intact”. 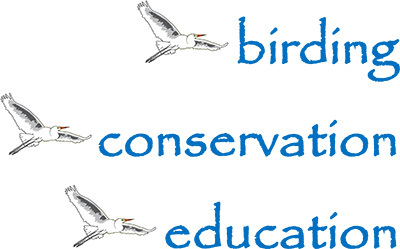 If you would like to help the Peace River Audubon Society’s effort to promote the next generation of ecological and conservation leaders by making a donation to its Scholarship Fund, please contact us at scholarship1@PeaceRiverAudubon.org.